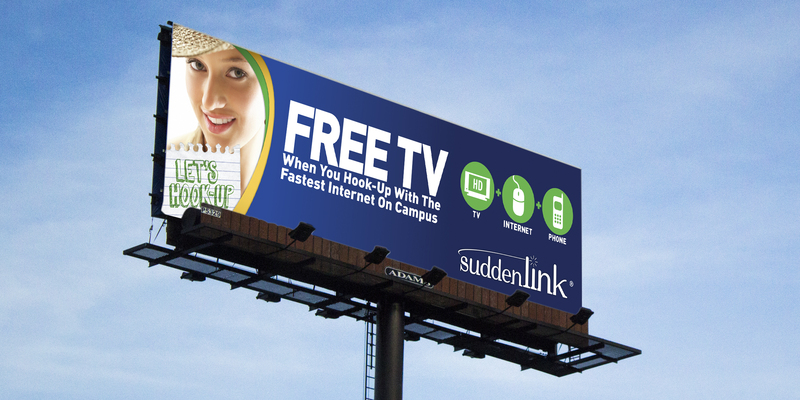 Suddenlink Communications, which provides cable, telephone and wireless service to the Midwest saw that there was big potential in tapping into the college student market. They had wide open opportunities to get their brand onto campuses to sign up college students for their services, and at the same time, potentially secure a customer for life. They came to Atomic Wash asking us to concept and produce a disruptive and memorable campaign targeted at college students at the outset of the school year. The campaign message needed to focus on the suite of college student “bundle” packages that Suddenlink offered. All of them were affordable and easy to “hook up”. The idea was to get the message out that these bundles were affordable and easy to “hook up” – and deliver it in a big and unusual way. 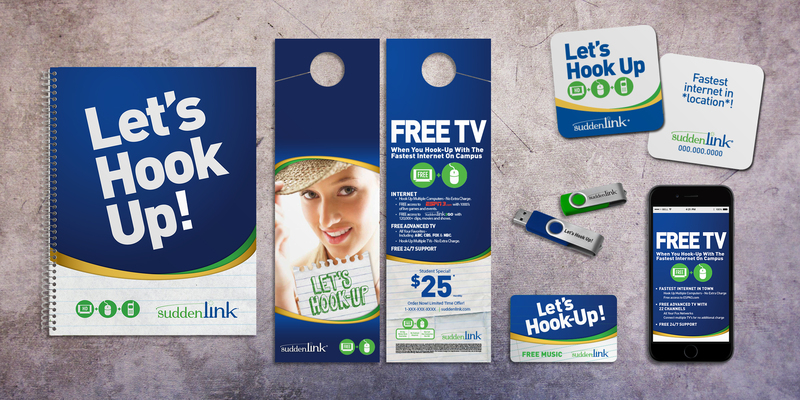 Atomic Wash used their understanding of the target audience to develop a fun, engaging campaign based on the idea of “hooking up,” Of course, the idea was that with Suddenlink, students could easily hook up their communications services, but the double entendre came across in the visuals. 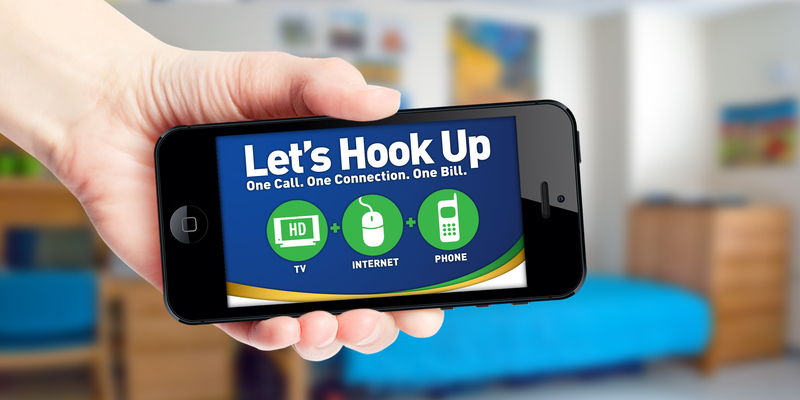 The series of ads and marketing materials we created featured a pretty girl and a handwritten note that suggested she wanted to “hook up” and included Suddenlink’s phone number. This approach had high visual impact and quickly told the story, and it was easily translatable to many different marketing channels, including guerilla marketing, promotional products as well as on and off campus promotions. The strength of the “Hook Up” campaign had such a strong impact on acquisition and retention, variations of this campaign were run for the following several years on campuses all around the Midwest.